This updated reference provides a contemporary perspective on pediatric Physical Therapy in a convenient outline format ideal for daily consultation. Consistent with APTA’s "Guide to Physical Therapist Practice, 3.0," Handbook of Pediatric Physical Therapy, 3rd Edition helps both students and professionals quickly locate essential information necessary to effectively assess, diagnose, and plan interventions. This edition reflects the latest advances in the field as it presents each condition's etiology, assessment considerations, treatment, and all other information related to contemporary pediatric physical therapy practice. 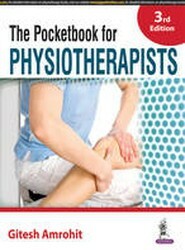 A comprehensive and highly illustrated guide to examining and assessing patients prior to massage therapy. An evidence-based textbook about myofascia and how an understanding of its functions and pathology can be used by physical therapists and other bodyworkers to illuminate and enhance their clinical practice.